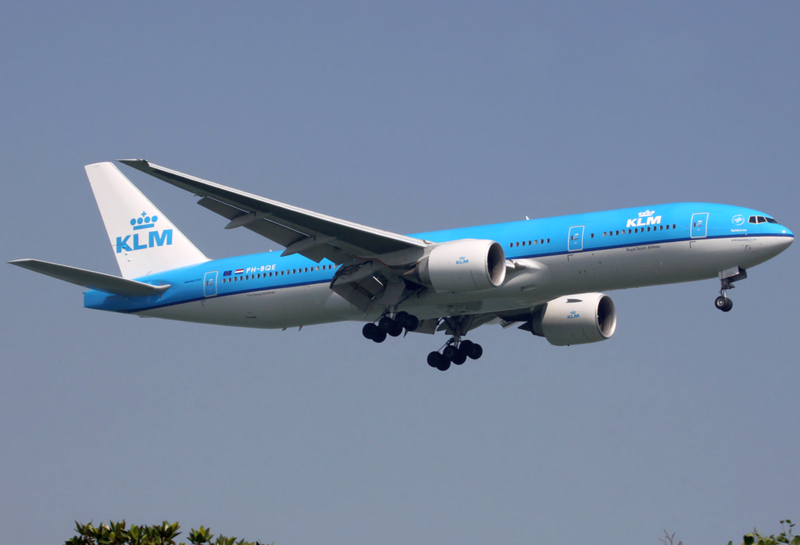 KLM Fleet Boeing 777-200ER Details and Pictures. 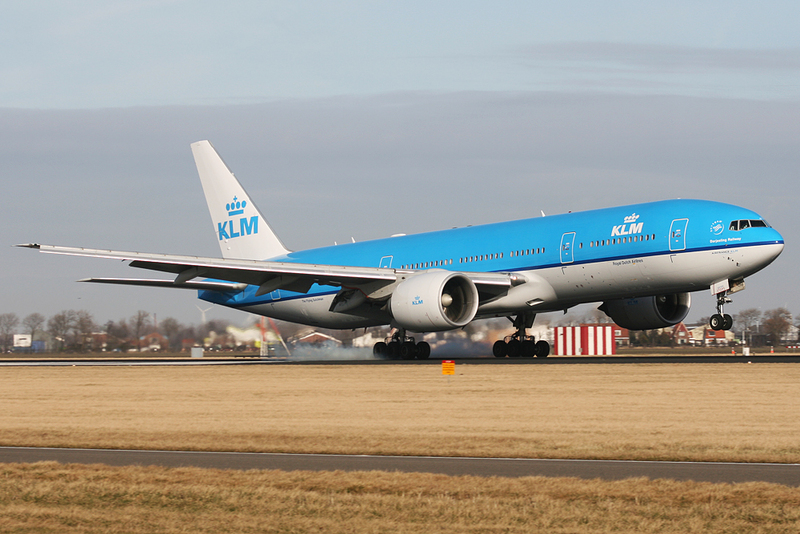 KLM operates 15 wide-body aircrafts Boeing 777-200ER. 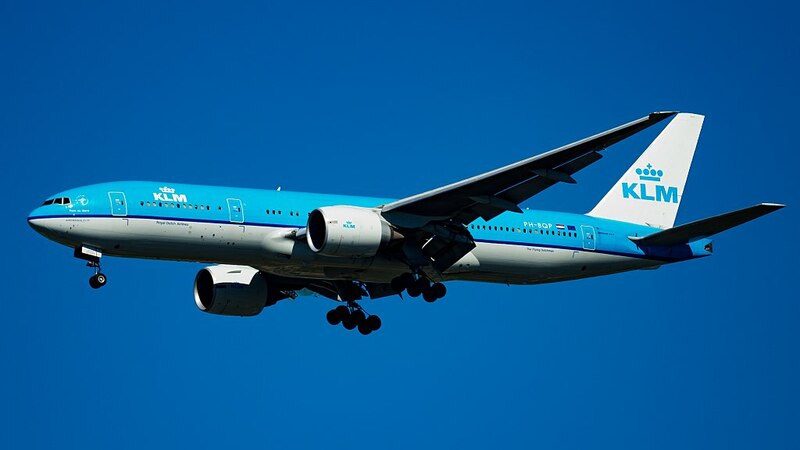 Boeing 777-200ER has the following performance data: wing span – 60.93 meters, the length – 63.73 meters, the height – 18.52 meters, the wing surface – 427.8 square meters. 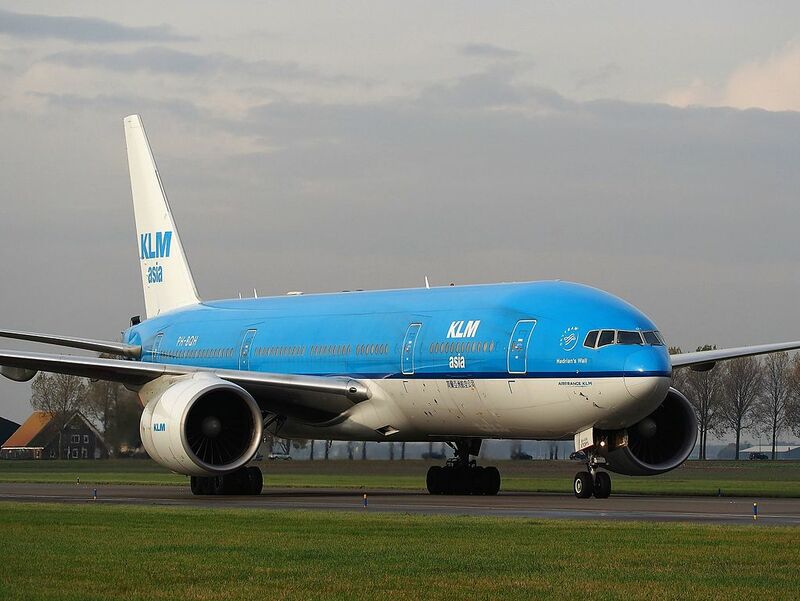 The weight of empty equipped airplane is 135870 kg. 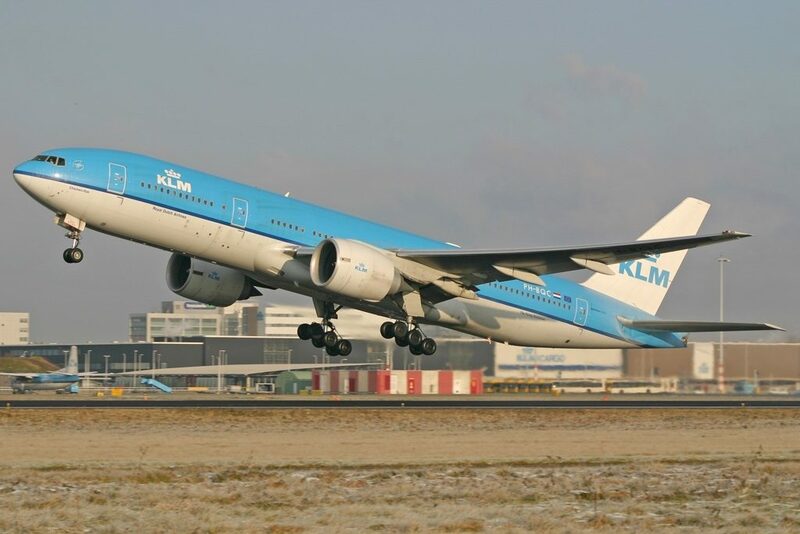 Maximum take-off weight is 262470 kg. 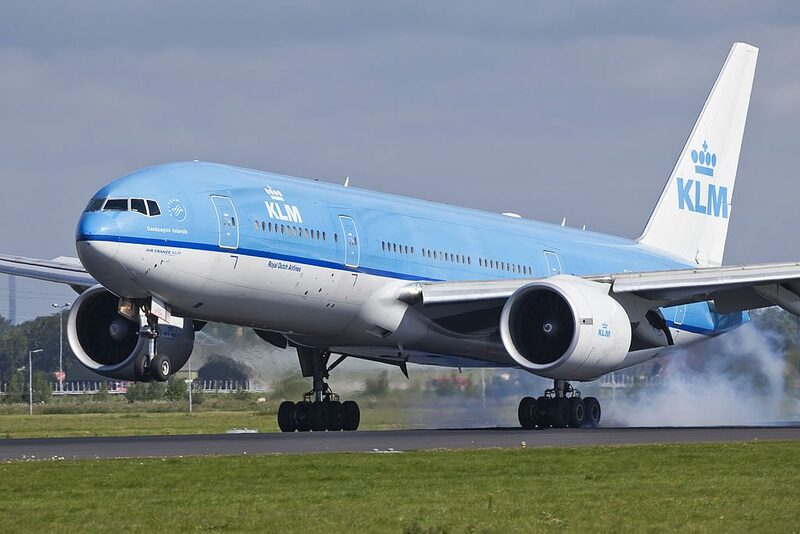 Boeing 777-200ER is equipped with 2 TFE (turbofan) engines Pratt & Whitney with thrust 2 x 33600 kilogram force. Maximum speed is 965 kilometers per hour. 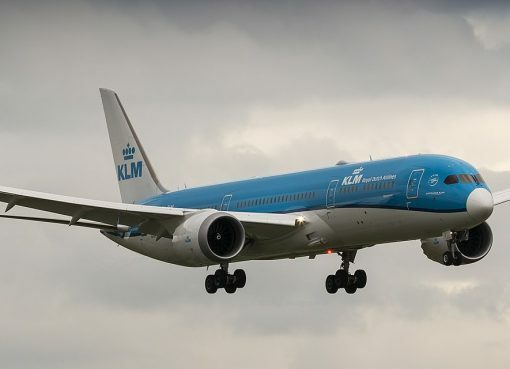 Cruising air speed is 905 kilometers per hour. 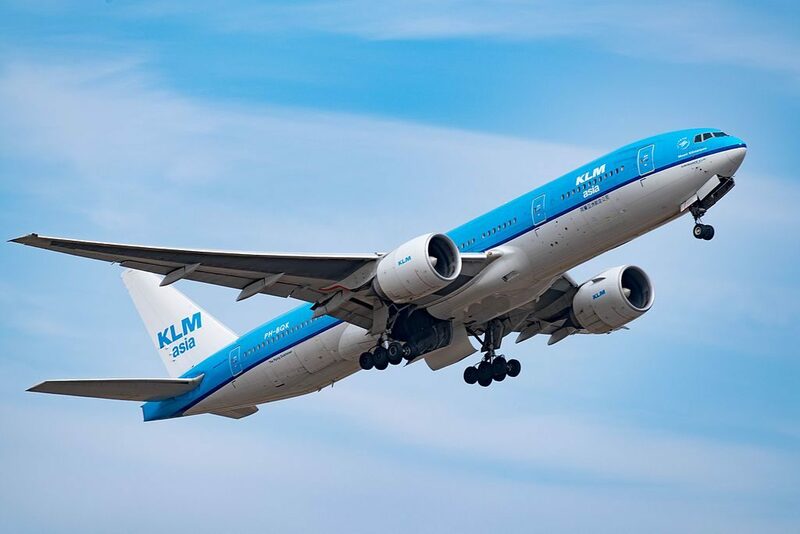 Practical flying range – 8910 kilometers. 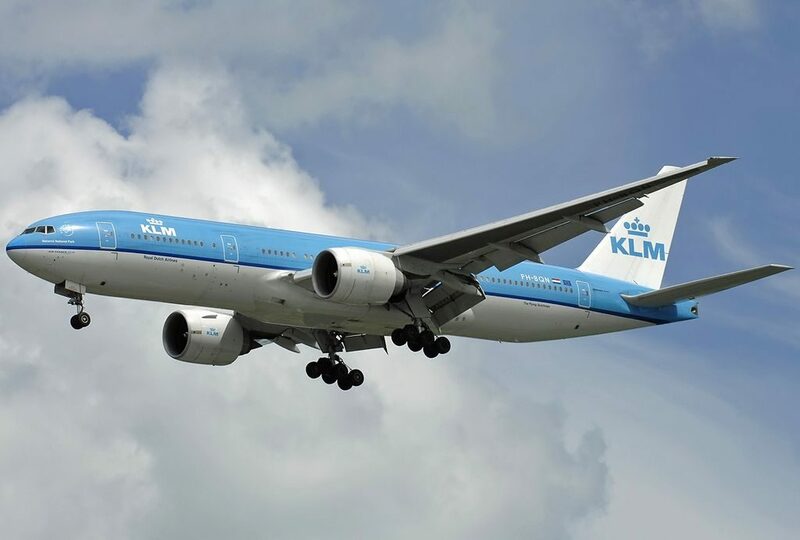 Service ceiling of Boeing 777-200ER is 13100 meters. Crew consists of 2 people. 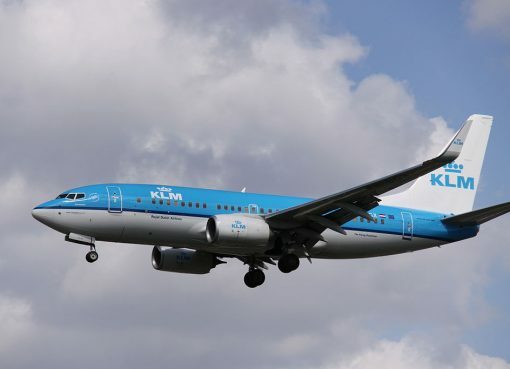 Useful load – 305-328 passengers in the three class cabin, 375-400 passengers in two class cabin and 440 passengers in one economy class cabin. 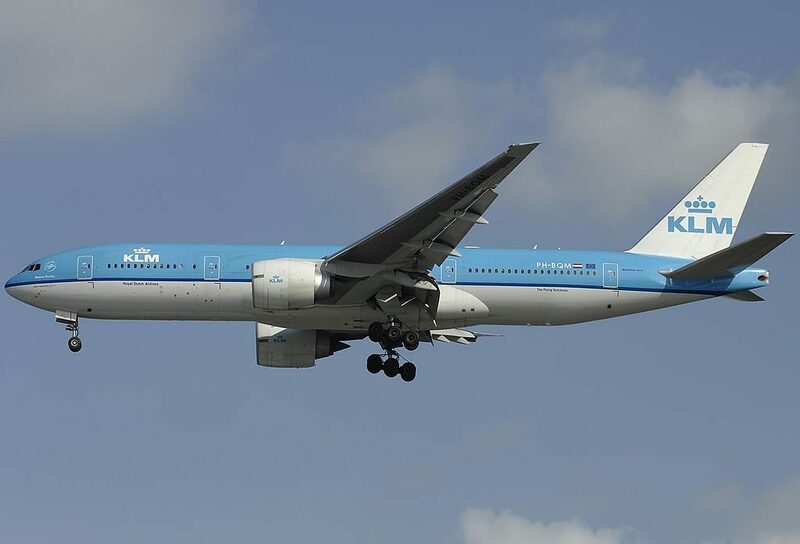 This KLM Boeing 777-200ER aircraft features a three class configuration with 34 flat bed World Business seats, 40 Economy Comfort seats, and 242 Economy seats. 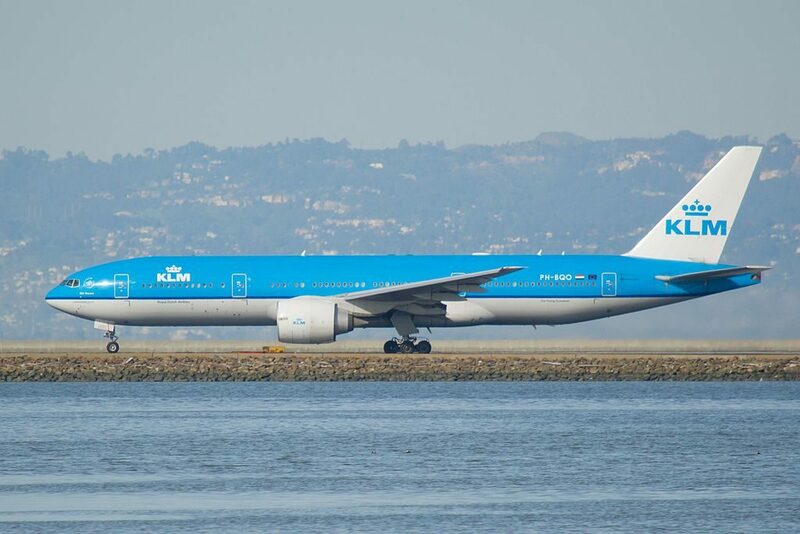 This version of Boeing 777-200ER offers 316 seats of three classes: world business, economy comfort and economy. The seats of World business class are located in the first 6 rows. 5 rows have 2-2-2 configuration and 1 row has 2-2 configuration. The only disadvantage of the seats 1G and 1HK is location of the lavatories in front. 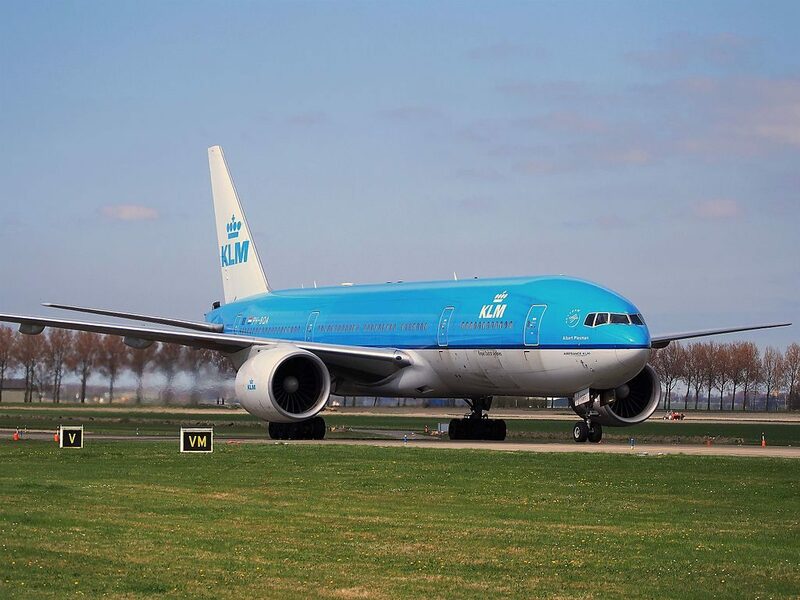 The noise from the galleys and lavatory located behind will cause discomfort to passengers of the seats of the 5th row. Missing window makes the seat 5A bad seat. The last row of business class seats is located behind the exit row. Close location of the galleys and lavatory may represent a problem to passengers of the seats of the 6th row. Behind this row 40 seats of economy comfort class are located. These seats have 3-4-3 configuration. All these seats are standard only the seats of the 10th row have no floor storage during take-off and landing and the seats 11A and 11K are considered bad seats due to missing windows. 242 seats of the economy class are located in two sections. Most of the seats have 3-4-3 configuration. All D seats of the economy class have limited space for passengers’ legs due to presence of entertainment equipment under these seats. First section consists of 12 rows. Missing windows is the main disadvantage of the seats 18A and 18K. Close location of the lavatories will cause discomfort to passengers of the seats 25C, 25DEFG and of the seats of the 26th row. Another disadvantage of the seats 25DEFG, 26ABC and 26HJK is limited recline. The second section of economy class seats contains 13 rows. Passengers of the seats 31ABC, 31HJK and 32DEFG will feel comfortable thanks to extra legroom. However, other passengers tend to gather in the area of these seats while waiting to use lavatories thus causing discomfort. Due to missing seat behind the seat 32D is often bumped by service carts and other passengers passing by. Location of the galleys and lavatory behind will cause inconvenience to passengers of the seats 43ABC, 43E, 43G, 43HJK and 44EFG. Limited recline makes the seats 43ABC, 43HJK and 44EFG bad seats. Audio. 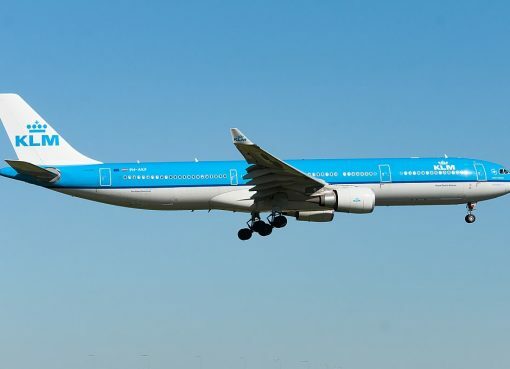 Personal Audio Visual on Demand (AVOD) is available on this aircraft with an extensive selection of audio programming in multiple languages. The system aboard this aircraft is ex2 from Panasonic. Video. 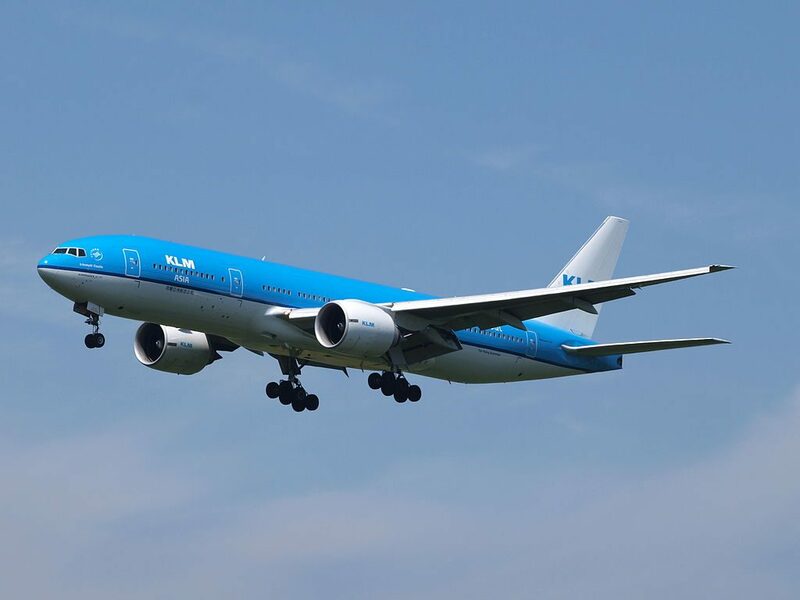 Personal Audio Visual on Demand (AVOD) is available on this aircraft with an extensive selection of movies, short programs and television series in multiple languages. Screens in Economy are 9 inches and those in Business Class are 10.4 inches. The system aboard this aircraft is ex2 from Panasonic. AC Power. All Business Class and Economy Comfort seats feature an AC Power port. 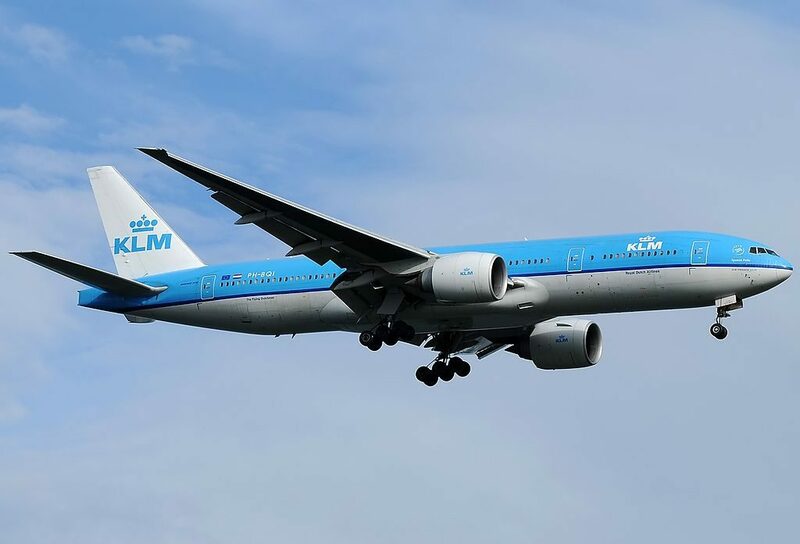 Thanks to visiting AirlinesFleet.com and read article : KLM Fleet Boeing 777-200ER Details and Pictures. 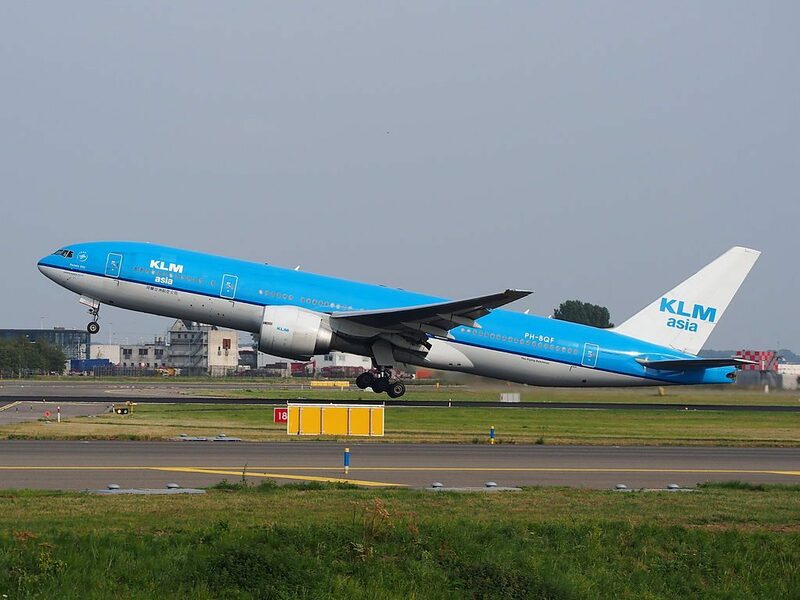 KLM Fleet Boeing 747-400 Details and Pictures. 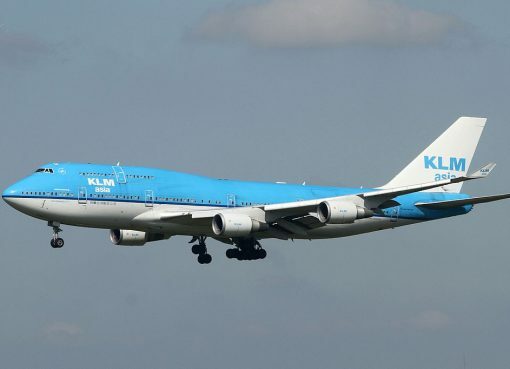 KLM operates 11 jumbo-jet aircraft's Boeing 747-400. 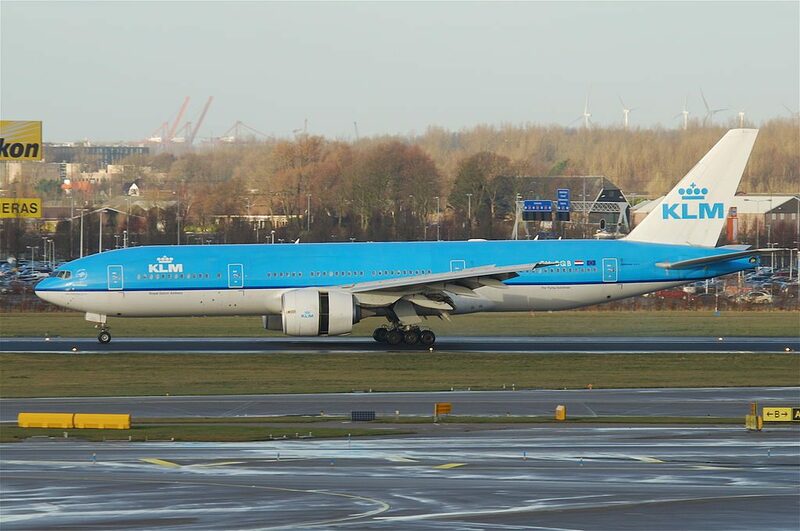 KLM is one of few airlines that still operated this legendary aircraft called "Queen of The Skies".